Randall has explained to me several times that the basis of programming or telling a computer what to do, comes down to positive and negative input and output. Just like binary is clearly made up of only zeros and ones, a program’s data is objective. This objectivity is logic. Every now and then, Randall will point out something that disturbs his paradigm of logic in our reality. 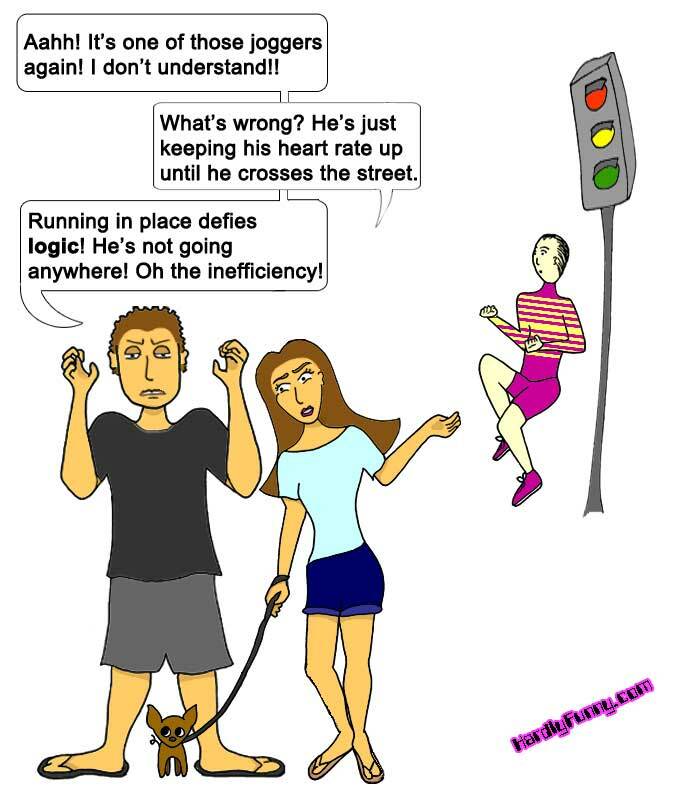 People who run in place are a violation of logic according to my husband’s computery mind.